Nowadays, it is becoming more and more important to utilize products that are energy-efficient. There are many reasons that can lead you to changing your old windows with new, more energy-efficient ones. To help you get an idea of how it can benefit your finances, we have selected six important reasons that can lead you to a window replacement for your home. Energy-efficient window installation will increase your comfort Energy-efficient windows will make your house feel warmer during the cold seasons, and keep the heat out when it is hot. They will make the cold drafts that you have felt before disappear. Energy-efficient window installation will increase your comfort. Energy-efficient windows will make your house feel warmer during the cold seasons, and keep the heat out when it is hot. They will make the cold drafts that you have felt before disappear. Energy-efficient windows control the condensation. If your want to keep your environment at a higher humidity level, find a window installation service provider and have him replace your old windows with new, energy-efficient ones. Their interior surface stays warm and that prevents condensation. Energy-efficient windows will save you some money. Energy-efficient windows can reduce your energy bills with their high thermal performance and by minimizing air leaks. The difference is substantial and you will feel it on the first day after the window installation. Older windows allow condensation and that is what causes deterioration of the glass, their frame and even the walls. Mold and erosion will lead to costly maintenance or even window replacement. Energy-efficient windows, on the other hand, will not allow condensation to happen and therefore they will last longer. On top of that, materials used in the creation of energy-efficient windows are much more resilient and have a longer lifespan. Energy-efficient windows provide a healthier environment. Energy-efficient windows improve air quality and prevent mold growth, which significantly improves your living environment. Energy-efficient windows reduce the flow of dirt, dust and even sound. 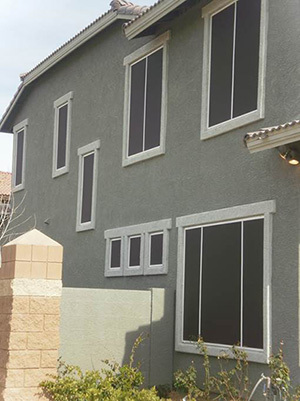 If you require a window installation service for your needs, Redline Windows is a company located in Phoenix AZ that provides it in a professional and reliable manner. Contact us on (602) 695-8080 to make sure your windows are energy-efficient and up to the modern standard.